Social & Emotional / What makes a child shy? Of course, temperament plays a role. Temperament is the innate part of a person’s personality, one that is apparent and not likely to change much throughout life. Thus, someone’s temperament can make him or her more or less likely to be shy and avoid social situations. However, not everything is set on stone, temperament can be slightly modified by experiences and interactions, especially during the early years. Besides, there are many social circumstances that shape development. According to Bronfenbrenner’s bioecological model of development, there are several social systems in which a child is embedded. There’s the microsystem, which includes interactions with parents and other persons that appear in his day to day life; the mesosystem, which includes larger social structures like the school and neighborhood; the exosystem, which refers to the community as a whole; and the macrosystem, which takes into account cultural practices and values. Nevertheless, a child spends most of his time interacting in the microsystem and the influences from the larger social structures are filtered through his day to day partners (his parents or caregivers). Because of this, parents and caregivers have a great opportunity to contribute and shape the course of a child’s development. The social interactions and temperament don’t act on their own, they exert a kind of dual-influence. The characteristics of children’s personality will provoke different reactions from parents and create opportunities for socialization. So, not only is the child influenced by his parents, but he also rears his parents behavior towards him. This creates a constant acting and reacting context, developing a relationship that will be the background of socialization for the child, from which he’ll learn to perceive, interpret, and respond during social situations, and to which he’ll return to in future experiences. So what exactly makes a child shy? What part of the parent-child relationship influences this characteristic the most? There are several findings that researchers have made. On the one hand, there’s the parenting style. According to Baumrind, the different styles of parenting include: authoritative (warm and responsive), authoritarian (strict discipline and control), permissive (warm with no rules) and neglectful (cold and unresponsive). Scientists have found that parental control and the authoritarian approach to parenting, including practices like manipulating the emotional bond, being over-intrusive and anxious, or exerting strict, punitive, and severe control, can weaken or hinder the child’s development of autonomy and lead to withdrawal and shyness (amongst other emotional and behavioral conflicts). On the other hand, research has shown that a secure attachment and sense of security that a child has in his relationship with his parents can be the building blocks for later confidence and engagement in social situations. Consequently, having an insecure relationship with parents can lead the child towards social difficulties in the future. If your little one is shy, don’t worry. Remember that sometimes a child can be inherently reserved and it can take a little longer for him to warm up to new situations, places, and people. What’s important is that he’s not emotionally distressed, to the point that his shyness becomes disabling and doesn’t allow him to adapt. 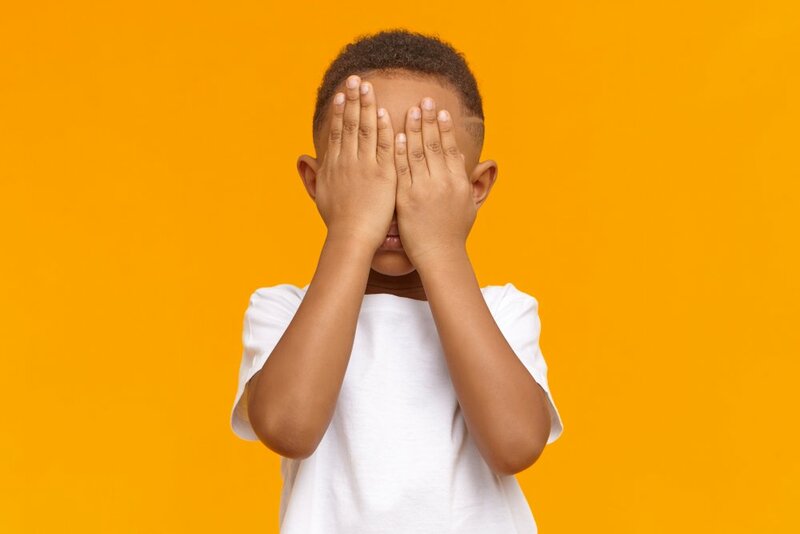 If you want to learn more about shyness and its development through the different stages, make sure to read our future article “What makes a child shy? Part II”, and check out these links.